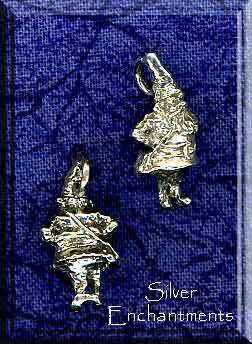 Overall Size : 20mm x 10mm x 8mm = 3/4+" x 3/8" x 5/16"
Gnome Symbolism / Gnome Folklore - Gnomes are a class of nature spirits linked with the earth. 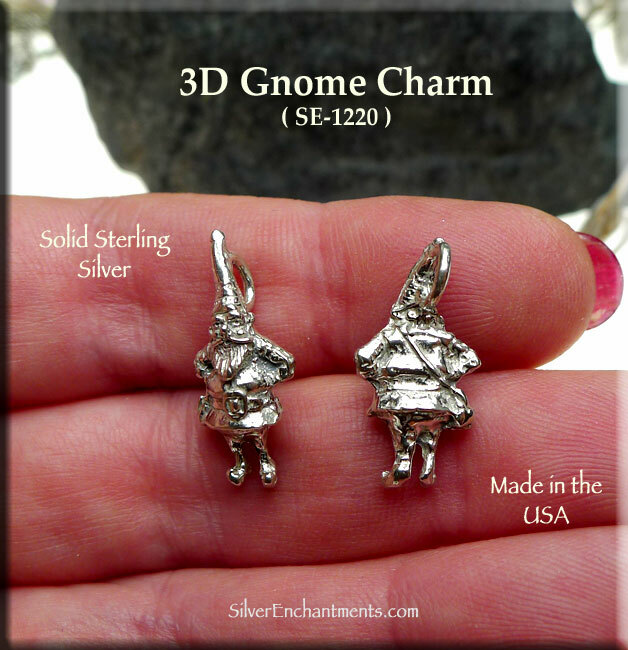 They have many different names in popular lore, and are said to be visible to clairvoyants as dwarfish humans who live in caves and the mountains. 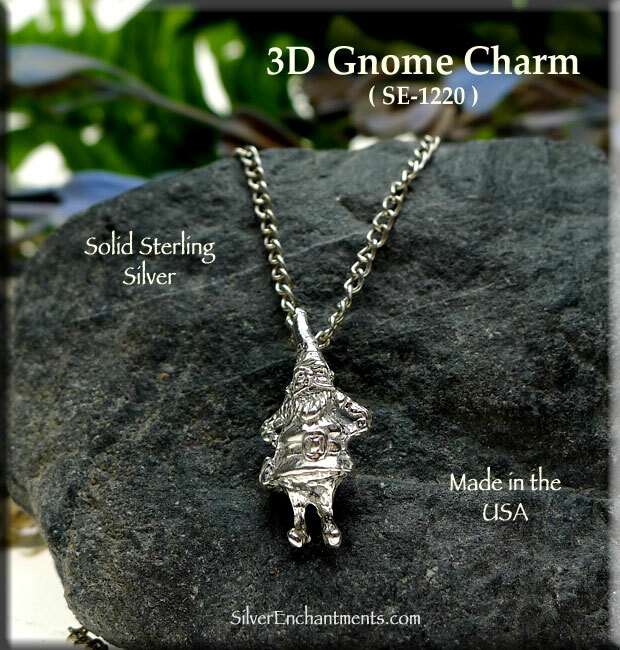 In European folklore, they are fairy folk who live in the earth and mine precious minerals. They have always been kindly disposed toward mortal miners. 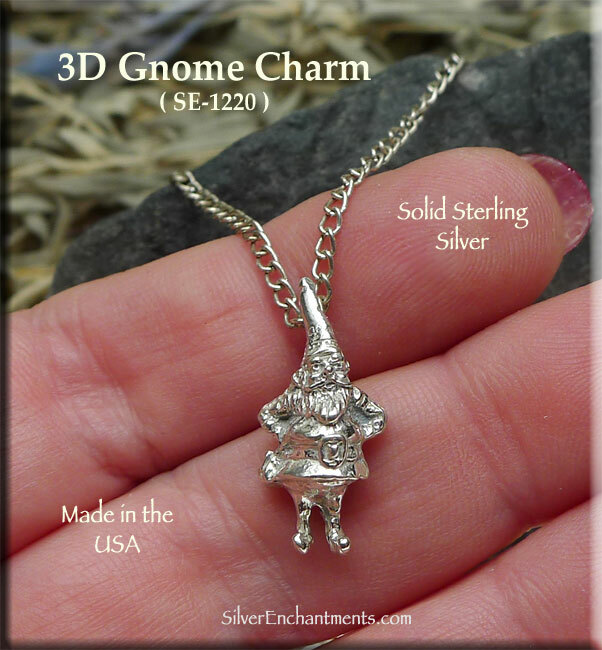 Gnomes of various sorts appear in many fairy tales and legends. According to Rosicrucianism, they were misshapen elemental spirits that dwell in the bowels of the earth. It is believed that Paracelsus was the first one using the word, probably based on the Greek ge-nomos (earth-dweller).